Patsy Cameron is keeping her Aboriginal heritage alive in a variety of ways. She creates traditional hand-woven baskets and shell necklaces, facilitates Cultural Integrity Workshops, conducts interpretive walks on Country and regularly contributes her views and knowledge to Aboriginal research projects, cultural fieldtrips around Tasmania and teaching programs and committees. Patsy has a Bachelor of Arts with majors in Archaeology and Geography and Masters of Art in Tasmanian Aboriginal History. She worked at Riawunna Centre for Aboriginal Education at the University of Tasmania for 10 years and is passionate about Aboriginal Higher Education. Her book Grease and Ocher: The Blending of Two Culture at the Colonial Sea Frontier was published in 2011. 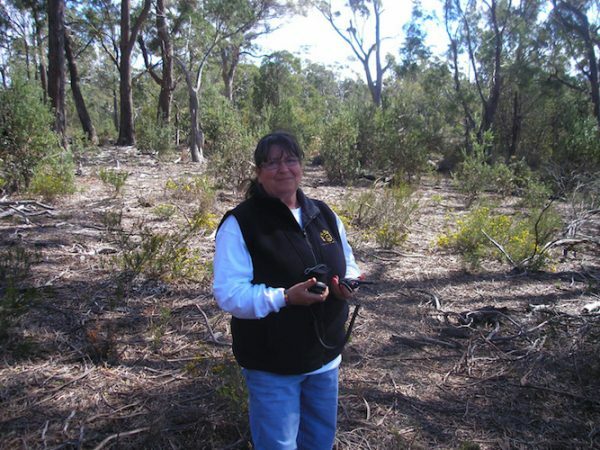 Patsy was inducted onto the Tasmanian Women’s Honour Roll in 2006 for her 30-plus years of work in Aboriginal education, community affairs and the promotion of cultural heritage. Patsy was a guest at the Tasmanian Writers Centre’s Hidden Stories event, an event that brought some of Tasmania’s most well-respected Aboriginal writers and artists together to open a conversation about Aboriginal culture and heritage. Patsy Cameron grew up on Flinders Island and can trace her Tasmanian Aboriginal heritage through her mother’s line to four ancestral grandmothers: pleenpereener, wyerlooberer and teekoolterme from the northeast Coastal Plains nation and Pollerelbener from the east coast Oyster Bay nation. At the head of her family is teekoolterme’s father, the revered pairrebeener clansman and formidable warrior leader, mannalargenna.